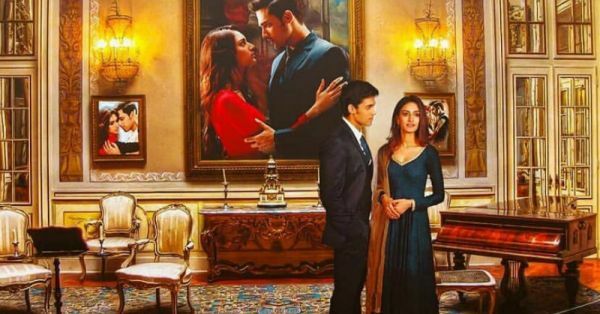 Last Tuesday, the first episode of Kasautii Zindagii Kay 2 aired and we now are back to the prime-time television shenanigans and remote fights at home. The show's lead pair, Erica Fernandez and Parth Samthaan, or what we better know them as 'Prerna and Anurag' made their first red carpet-like appearance yesterday since the show aired. And what they wore is the perfect look for the festive season. Here, have a look. 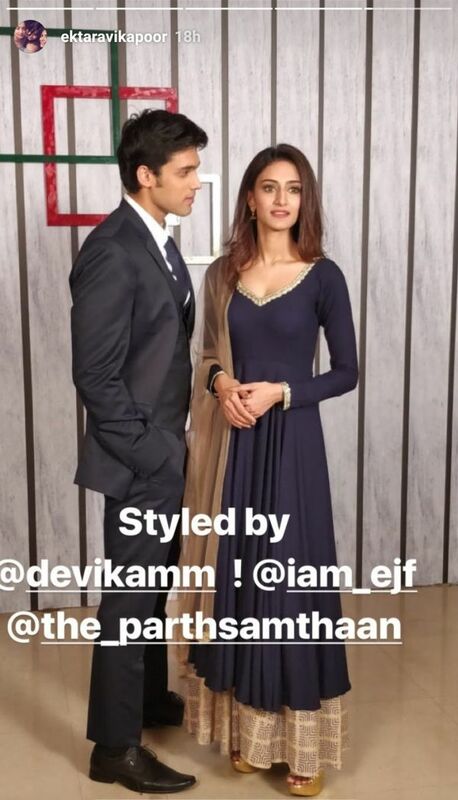 Parth is looking dapper in his crisp black suit and Erica's navy blue and beige Indian attire is as elegant as it can get. When my Lifestyle Editor asked me where she could get Erica's look for a party, I knew I had to write a story for you all. 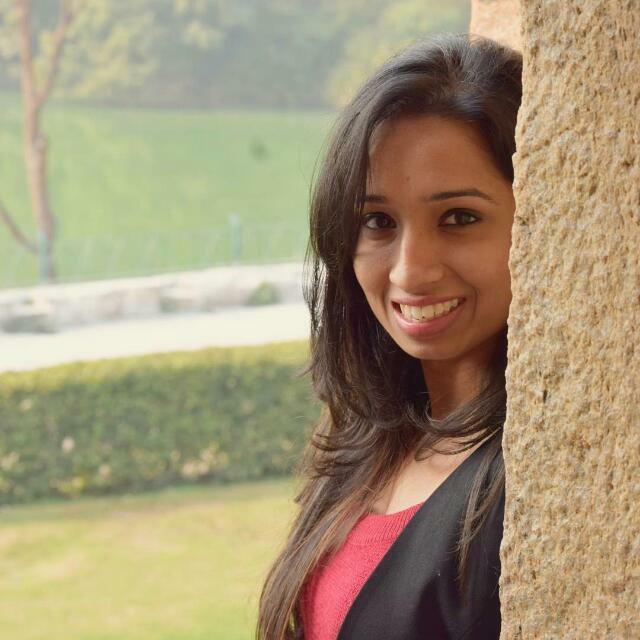 After all, it is a simple look that anyone and any body type can effortlessly pull off and glamorous enough for the festive season that is in the offing. 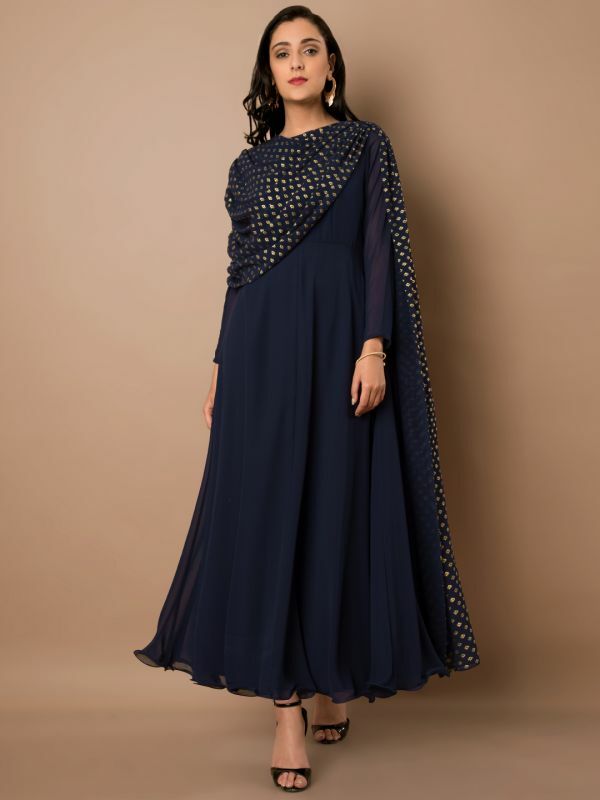 POPxo Recommends: Navy Blue & Gold-Toned Solid Anarkali Kurta (Rs 2,380) by Indya. POPxo Recommends: Beige & Golden Printed Flared Palazzos (Rs 2,099) by W.
POPxo Recommends: Gold-Plated Jhumka Earrings (Rs 909) by Zaveri Pearls. POPxo Recommends: Gold-Plated Jhumka Earrings (Rs 350) by Zaveri Pearls. POPxo Recommends: Gold-Toned Embellished Wedges (Rs 539) by Shoetopia.